Marginal revenue is defined as the revenue gained by producing one more unit of a product or service. Therefore, it is sometimes also referred to as the revenue of the last unit. 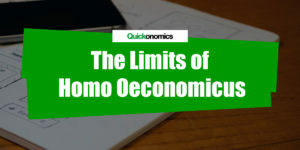 In economics, the concept of marginal revenue is very important because it helps firms to make efficient production decisions and maximize profits by comparing additional costs and revenue. 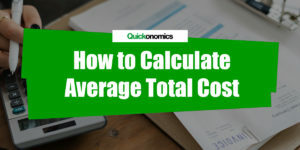 We have explained how to calculate marginal cost in an earlier article. 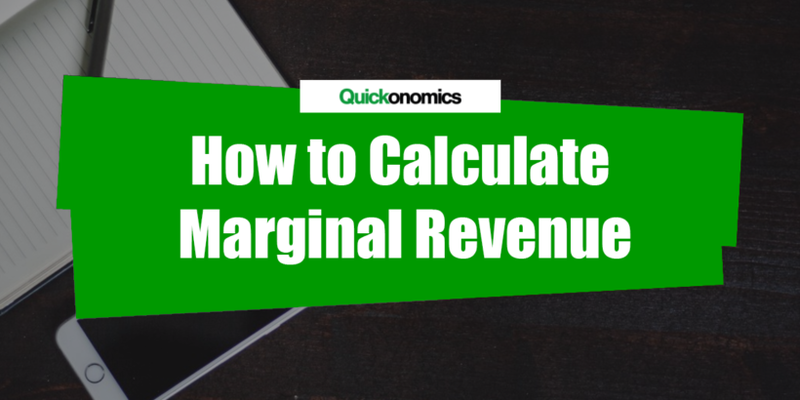 Thus, in the following paragraphs you will learn how to calculate marginal revenue. To do this, we can follow a simple three-step process: (1) calculate change in revenue, (2) calculate change in quantity, and (3) divide change in revenue by change in quantity. Let’s look at an example. Say you own an ice cream shop; Ice Cream Wonderland. Yesterday, you sold a total of 200 ice cream cones at a price of USD 2.00 each. That means, your total revenue was USD 400 (200*2.00). Today you manage to sell 220 cones at the same price. As a result, your total revenue increases to USD 440 (220*2.00). Hence, the change in revenue from yesterday to today amounts to USD 40 (440 – 400). Let’s revisit our example. The quantity of ice cream produced (and sold) increased from 200 cones yesterday to 220 cones today. Thus, it has increased by 20 ice cream cones (220 – 200). Please note, even though marginal revenue is defined as the additional revenue gained by producing (and selling) one more unit of a good or service, we can still calculate it for any given number of additional units. In the case of Ice Cream Wonderland we can calculate marginal revenue as follows. We divide USD 40 (i.e. change in revenue) by 20 cones (i.e. change in quantity). Thus, at the current level of output, marginal revenue equals USD 2.00 per ice cream cone. Marginal revenue is defined as the revenue gained by producing one more unit of a product or service. This is important because it helps firms to make efficient production decisions and maximize profits. 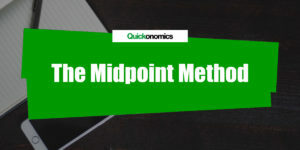 To calculate marginal revenue, we can follow a simple three-step process: (1) calculate change in revenue, (2) calculate change in quantity, and (3) divide change in revenue by change in quantity.